Are you using your Terminal Server/RDS Server for one main application? A database or ERP program, perhaps? If so, you are a prime candidate for RemoteApp, a remote access tool introduced by Microsoft for Server 2008 R2. However, many people who are using Terminal Server/RDS Server still don’t know about it. RemoteApp is an extremely handy feature that can eliminate a lot of sysadmin headaches. For instance, if you have mobile users that connect to your network via VPN to get on the Terminal Server/RDS Server to run one application, RemoteApp will be perfect. You can certainly use RemoteApp for multiple programs, too, but when you have only one, it seems almost silly not to use it. Why present an entirely new desktop, full of icons and options, just so the user can run one application? One of the challenges of using a Terminal Server/RDS Server is getting your users used to the fact that the remote screen is not their local computer – interacting with the remote machine is slightly different. However, with RemoteApp, this challenge disappears. RemoteApp lets you place an icon on the user’s desktop, just like any other program would. A double click is all that is necessary to run it. They need just a double click to run it. There’s nothing new for them to learn, no worries about them clicking on something on “the other” desktop and getting lost. Once you’ve configured your Server for RemoteApp, you install your application. If your Server already has the application installed, just configure for RemoteApp. Add the application to the RemoteApp Programs List, at which point you can distribute it to your users in a variety of ways. You can create an individual RDP file or an MSI file, for instance. Of course, this remote access program isn’t suitable for every situation. The application runs on your Server. If the user saves files and is used to clicking on the data files to open them (as many do with MS Office, for instance), it won’t work as expected. They’ll be saving to the Server, after all, so they won’t see their files where they expect them. And if they double click locally, via a mapped drive, for instance, the associated program won’t run because it’s not installed on their machine. For any program that runs solely on a Terminal Server, RemoteApp may well make the admin’s life easier. Why teach your users how to use RDP then navigate a secondary (remote) desktop to run a program when you can just place an icon on their desktop and be done? Hungry for more sysadmin tools? 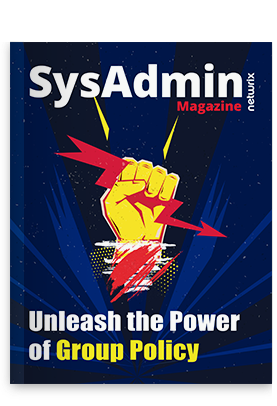 Check out our list of the top 10 free sysadmin tools for Windows server management, monitoring, backup and troubleshooting. What remote access tool do you prefer to use?